If you think I’m the last one to write on this, then forgive me. Because the Oprah’s Big Give show had started on March this year. But I just watched it tonight (a few hours before I wrote this). I just want to share my opinion regarding this show. Well, obviously this is a big show. Let’s read the title once again, OPRAH’s Big Give! Yes, Oprah’s name is one proof of how big is this show. The purpose of finding a way to help the needy people is something good. It’s truly good. But some questions were raised about the next steps taken after this show. Will others -outside the Harpo Studios- do the same thing, to help total strangers and willing to give something big? Or is it about the $1M? We never know the answer … and despite the highest rank on TV, Oprah decided not to continue this show. Helping others is a way to show our sincerity. It is also a way to share something that we have because in everything that we own, there’s a small percentage that goes to others, said a wise man. What do you think about that? Well, for me, I agree. It’s not merely about giving the 10% away, like many Christian churches do. But it’s a lesson of sincerity. 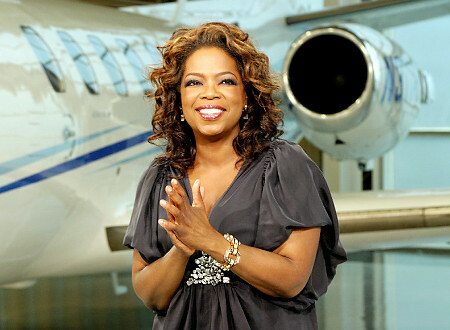 Don’t bother about Oprah’s show… It’s a very good show. But to give something big for others, we don’t always wait for Oprah. We can start it from ourselves!